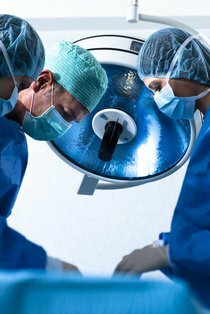 Medical Malpractice - Do You Have A Case? Your Doctor Made a Mistake – But Do You Have a Medical Malpractice Case? The term “medical malpractice,” sometimes called medical negligence, refers to a situation in which a health care provider fails to act in accordance with standards of accepted medical practice, causing injury or death to the patient. A physician, nurse or other health care professional is considered negligent if his or her conduct is below the “standard of care,” i.e. the degree of care and skill that the typical health care professional would provide to a patient seeking treatment for similar symptoms or under similar circumstances. It’s not just doctors and nurses who can be sued for medical malpractice. Any licensed health care provider who is in a position of trust can be held accountable for diagnosis or treatment that causes injury or death. These can include lab technicians, radiology technicians, specialists who interpret your test results, ambulance companies and their employees, and facilities such as hospitals, nursing homes and pharmacies. Even if your medical treatment results in a negative outcome, the doctor’s or nurse’s conduct may not rise to the level of malpractice or negligence. Furthermore, even if the treatment you received clearly fell below the standard of care and is deemed “negligent,” you may run into difficulties bringing your claim due to the high cost of litigating a medical malpractice case. Because medical malpractice cases often hinge on the definition of the “standard of care” required for that particular situation, experts must be consulted and retained to prepare reports, give depositions and testify in court. You should consult with an experienced medical malpractice attorney who can help you determine whether the health care provider’s negligence was truly the result of malpractice and whether your case is worth pursuing. Your attorney will review your medical records and will likely have to retain a medical expert who can review your records to evaluate the merits of your claim. My firm is dedicated to representing people who have been injured due to negligent medicare care. We routinely take on health care providers and their insurance companies, regardless of cost to obtain the best results for our clients. The compensation we obtain, either through settlement or from a jury, provides medical care and rehabilitation necessary to rebuild a client's life.